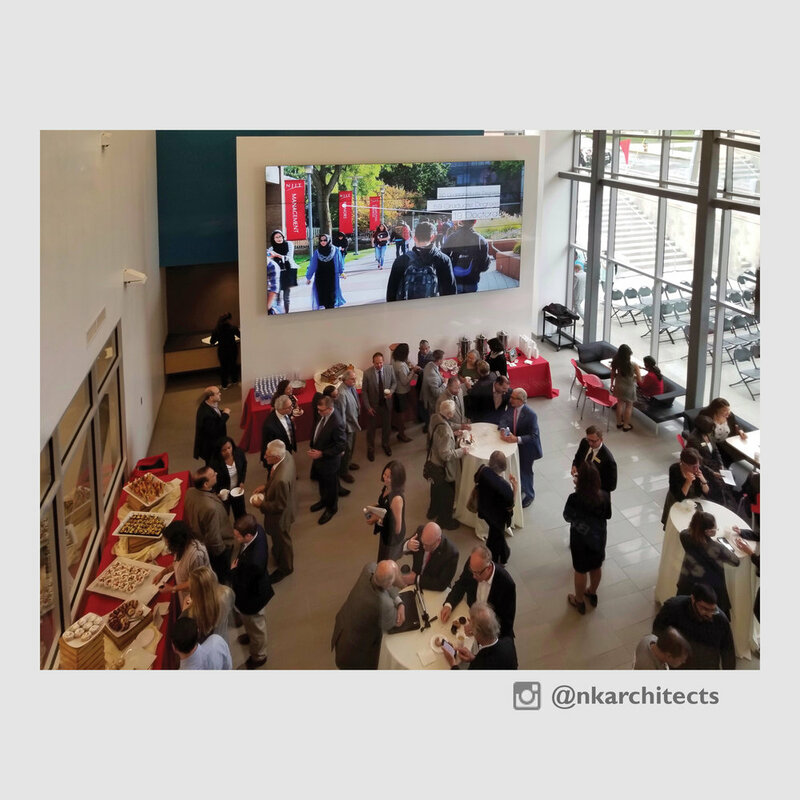 NK Staff joined New Jersey Institute of Technology administrators, staff, students, and elected officials representing the State of New Jersey in celebrating the opening of the state-of-the-art Life Sciences and Engineering Center on Thursday, September 21. The $21 million research facility houses disparate disciplines ranging from biomedical engineering, biological sciences, electrical engineering, and healthcare technologies, that are all united by a focus on the future of health care and the biomedical industry. Central to the design of the building was a desire to create a spatial framework that would provide opportunities for cross-pollination of the different disciplines and ideas. A central atrium provides an active, multi-level space with a monumental stair and seating element to place the users and the informal spaces of the building on display. High levels of transparency visually connect the adjacent laboratory, research areas, and the activities going on within them with the central atrium. 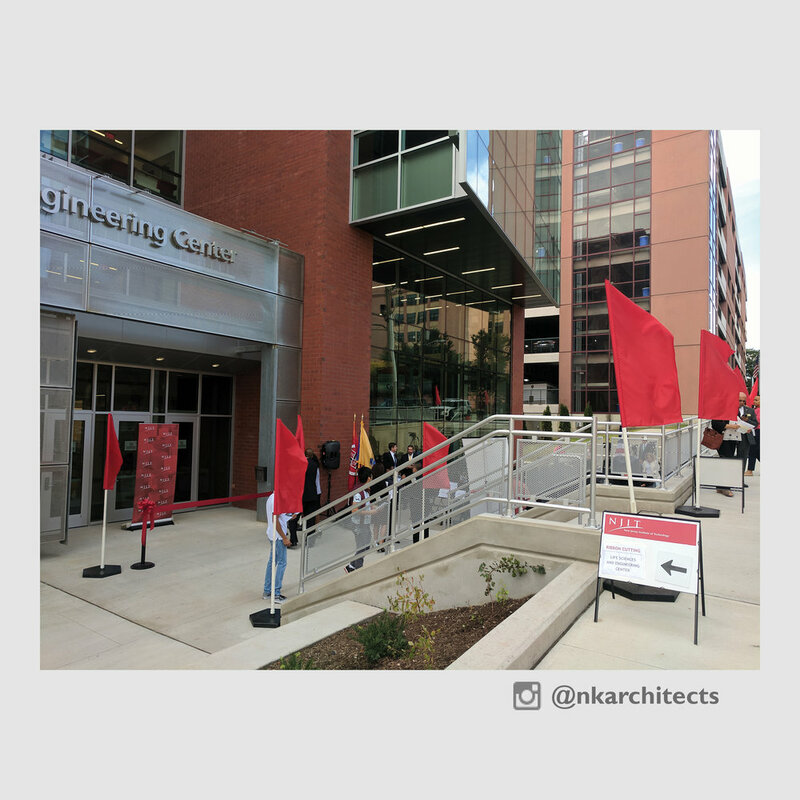 A further variety of user-focused spaces including a ground floor gathering area with large flat screen presentation capabilities, a second floor student lounge, and a new exterior plaza provide a range of opportunities for collaboration and cross-pollination. Congratulations to our team and to the NJIT community on the opening of this incredible facility! CANstruction 2017 - Thank You!